The former teacher in me came out like an banshee when Boy Wonder entered kindergarten and was assigned homework. For years I preached to my student’s parents about the importance of having a “spot” for their children to do homework. 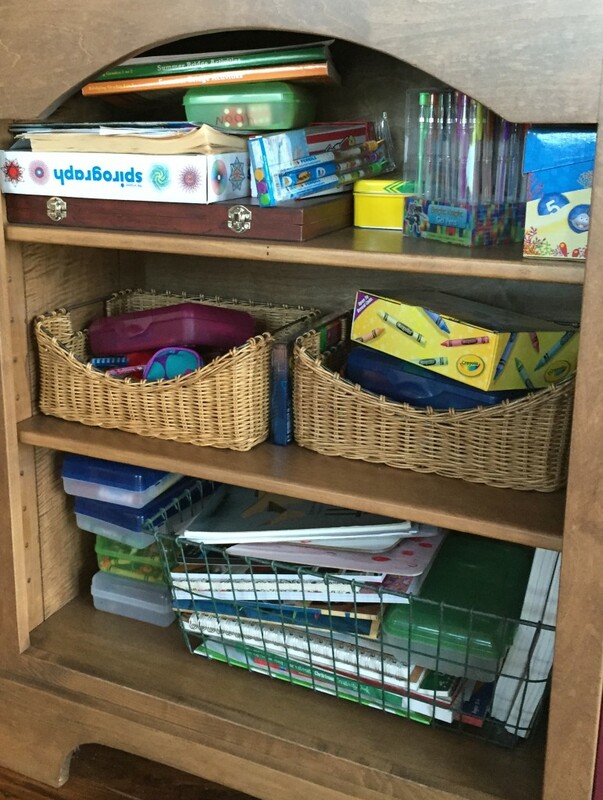 A place free of clutter, stocked with a few supplies and within earshot of a parent. It was finally my turn to be the parent and to create a Homework Station in my home. Truth be told, I was a bit giddy over the idea. 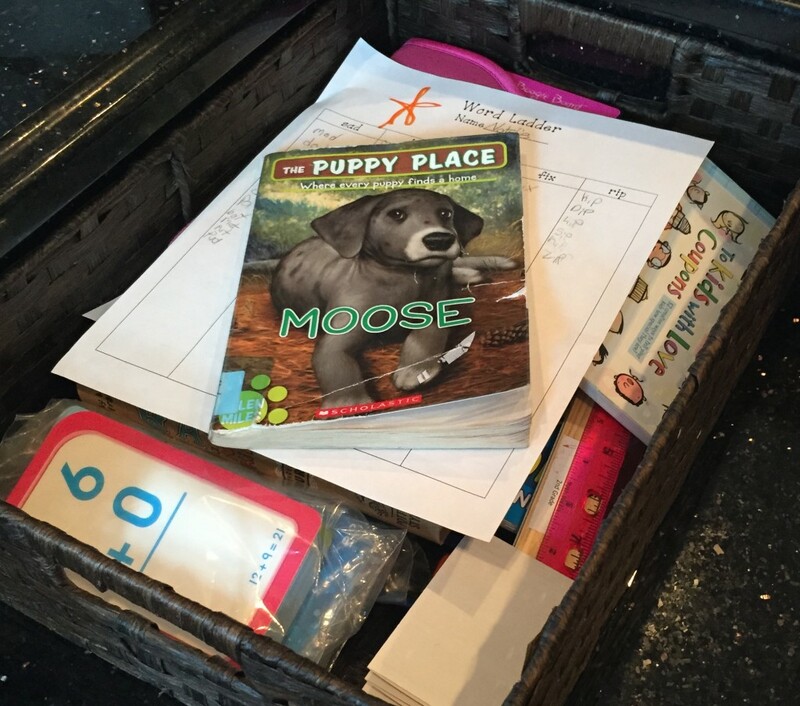 Here’s a look at the Homework Station for Team Mathis: Yep, that’s it! Easy. Small. Accessible. Stocked. 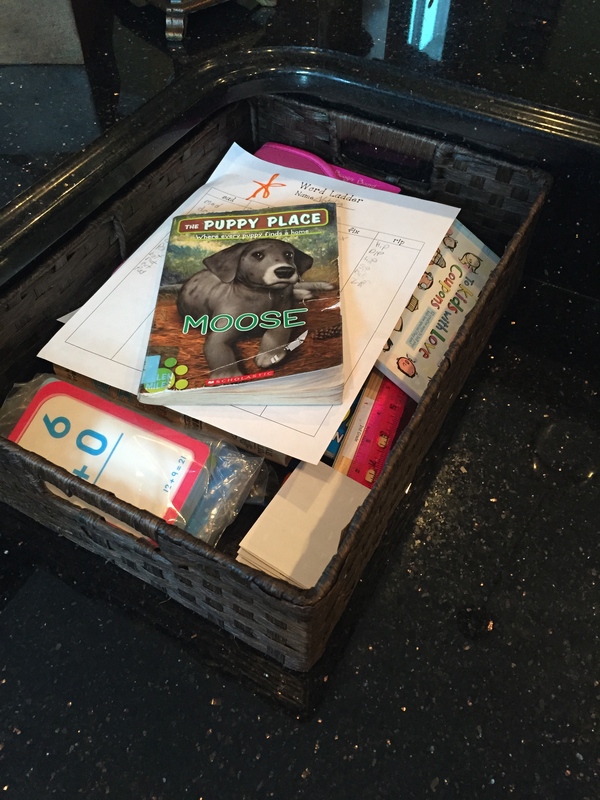 The basket holds the weekly ‘stuff’ we need….spelling lists, long-term assignments, books they are reading, newsletters, papers that need to be returned to school. 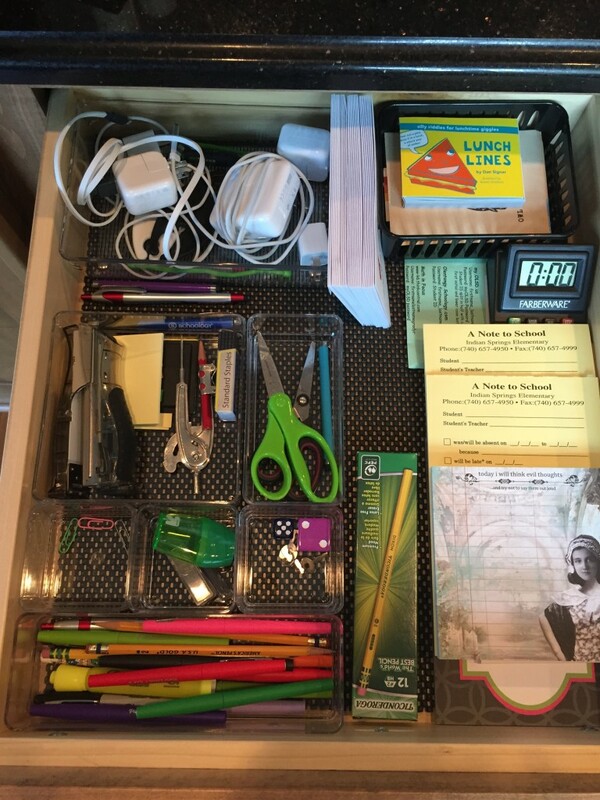 The drawer is referred to as the ‘Homework Drawer’. 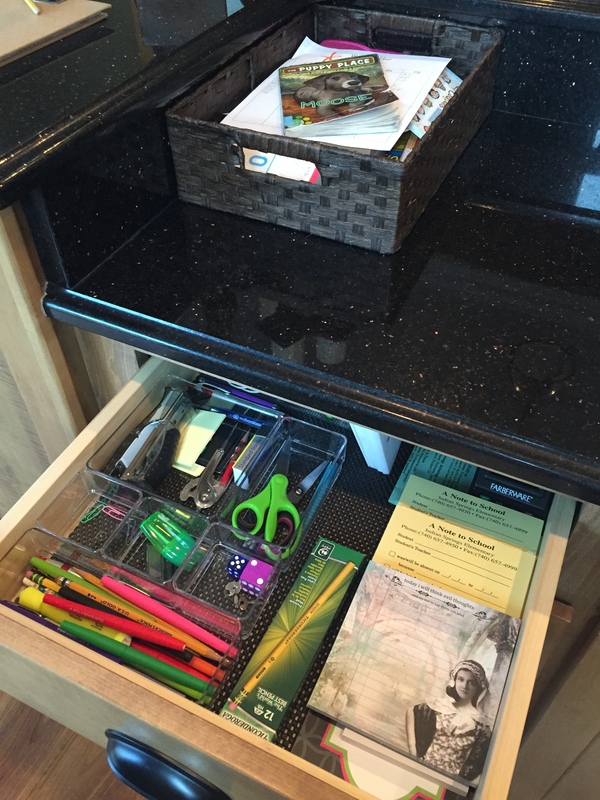 This is where you will find pencils, colored pens, highlighters, post-it notes, stapler, paper clips, scissors, yellow note pad for school notes, etc. LOTS of supplies. Around the corner I have clipboards, markers and crayons. I designed our kitchen with homework in mind. Nerd, I know. These bookshelves have come in quite handy. Don’t have a bookshelf or a spare drawer in your kitchen? No problem. 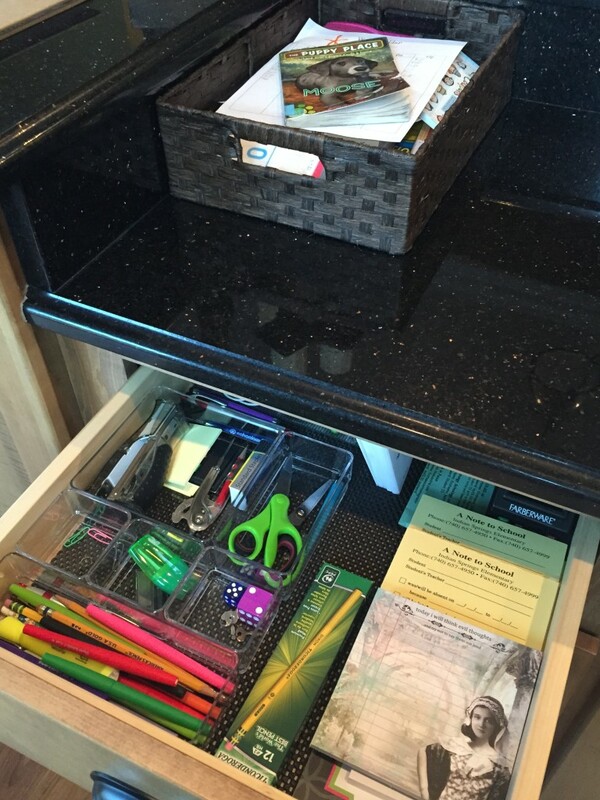 Purchase a plastic bin and stock it with all of your favorite homework supplies. Keep it in a closet or a kid’s room. It can be brought to the kitchen as needed. 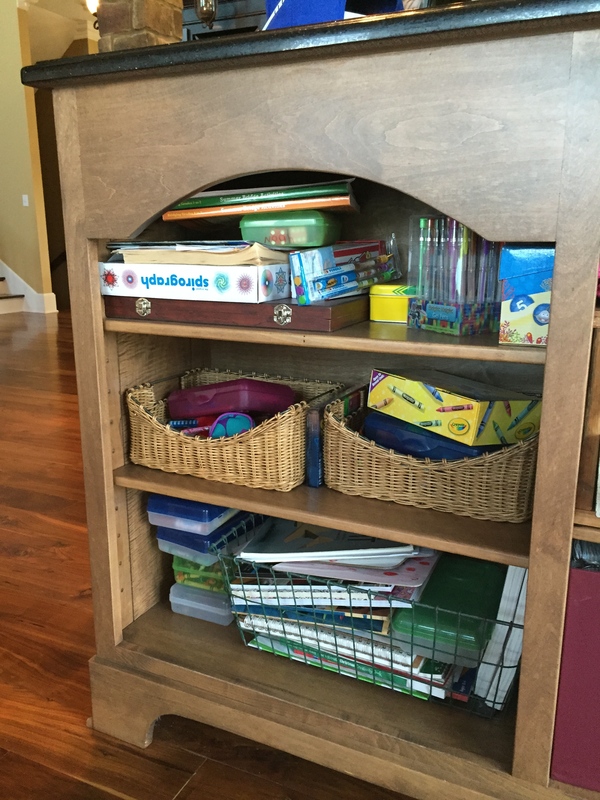 Another idea… use one of those over-the-door shoe organizers with pockets and stock that. It can hang in a hall closet. Check out my Pinterest board for more genius ideas: Follow Mama Mathis’s board homework stAtion on Pinterest. Apparently I live with some very gassy people. Sunshine can burp like a man. On command. I swear she is secretly working on reciting the alphabet via a burp when she retreats to her room. Boy Wonder’s burps aren’t nearly as impressive, but he sure can hold his own in the fart department. My dad gave him the nickname “Toots” many years ago and it still fits. Without throwing Doc completely under the bus, I will just say that his emissions have been declared POISONOUS by several friends. And in all fairness, I must admit that my team is not a fan of me eating copious amount of hummus and tzatziki. You won’t hear my ‘exits’ but they rarely go unnoticed. Boy Wonder never lets me get away with one. He has a weak gag reflex and I guess asking, “Mama did you toot?” very loudly in public diminishes his urge to gag. He’s awesome like that. I try to slip away and toot in private. I never toot in the car. You car-tooters are a whole different breed! Growing up with two gassy brothers and one very gassy father I developed great ‘escaping the dutch oven’ skills as well. Boy Wonder has yet to successfully attack me and Doc, well he knows better. I remember my mom constantly rolling her eyes and pinching her face in disgust whenever a Dortmund Boy ‘ripped one’. My sweet Auntie J encourages them when we visit, the bigger the better and Doc always has a high five and ‘nice one’ waiting when my little blessings explode. Ugh. As you see I am surrounded by gas. This rule was met with a bit of “ohmygoshmamaareyouserious”. Yep. I’m serious. As you can probably guess, it was painful. Someone would burp or fart and I would stare at them with big eyes imploring them to use their manners. Didn’t happen. Not one to take defeat easily, I made following the rule a bit more enticing. If When you burp or toot, say ‘excuse me’ right away or PAY UP! The little people in my house are very money-motivated. The charge was set at a quarter per offense. No one likes to give up a quarter. Quarters were flying out of their piggy banks the first few days. We kept a tally in the kitchen. While I don’t really condone public shaming, seeing your name with about 7 tallies by it seemed to do the trick. And the best was when a guest asked what it was for! As on all teams, negotiations take place. If you were relaxed in bed, toots didn’t count. If you were sick to your stomach burps and toots didn’t count. Don’t ever say I’m not flexible! I am happy to report that after about a year, while my team is not less-gassy, they are much better mannered. 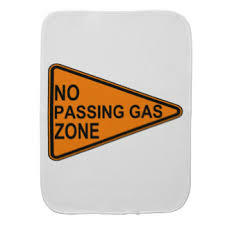 And I chuckle every time one of my team members says “excuse me” following a silent but violent toot…..
Who knew assigning a monetary amount to gas would develop good manners!